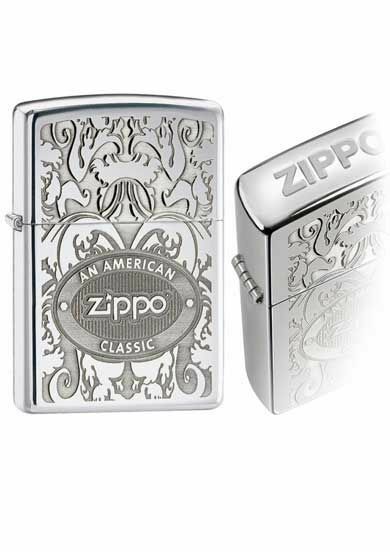 This is an extremely desirable Zippo lighter with a floral pattern and Zippo logo. Crown stamped. Made with a double lustre process.